Our terms and conditions for the Care Service are embodied in our Contract Documents, which forms the basis of your agreement with us. You have free access to copies of any such document and other records concerning your support at any time. Easy Living Solutions is fully insured for Public Liability, this means that our staff are insured when they come and visit you. However, this only applies when we visit you and we recommend that you maintain your own insurances on your own home and possessions in the normal way. Our fees are usually payable MONTHLY and payable within 14 days of receipt but can be on a weekly basis by arrangement. Part of the Policy Documentation that we are obliged to have in place is a ‘Statement of Purpose’. This is a summary of our organisation, the services that we offer, fees charged and the staff that perform care duties. Should you wish to consult this document please ask a member of staff. Easy Living Solutions will not tolerate abuse in any form and will take immediate action to ensure the safety of its clients and staff. All staff have a responsibility to tackle and report abuse as part of this company policy and the duty of care owed to vulnerable adults. Easy Living Solutions is committed to preventing the abuse of adults and responding promptly when abuse is suspected. 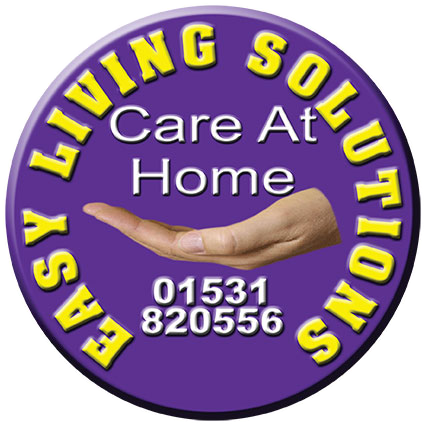 Easy Living Solutions follows the no secrets guidance and Gloucestershire County Councils safeguarding adult’s framework. Our staff are all bound by a Code of Conduct, which includes preserving the confidentiality of any information that you divulge to us. We will not actively seek confidential information from you unless we feel that it is in your best interests, i.e. to enable us to prepare a better Support/care Plan for you. Where we do have such information, we undertake not to disclose any of it to an unauthorised third party without your express permission, except in an emergency or crisis situation. When this happens we will always keep you informed of any discussions that have taken place and this will be recorded in your care plan records to which you may have access at any time. A care plan is the key documentation for your support. We will have assessed areas of risk and identified your needs and this is recorded on your care plan. We then decide how our staff can best meet these needs and this then forms your care plan. The care plan is continuously reviewed as a person needs change, sometimes on a daily basis, and we have to respond to these changes to ensure that we are delivering the right care and support for you. We will always seek your opinions and input when developing the care plan, making changes or amendments to ensure that you are fully satisfied with the support you receive from us. We also recognise the value of involving your family members, relatives and friends in your care plan, and we will always (with your permission) invite your family and friends to participate in the care planning process. As we start to work with you, we will be generating records of visits and tasks performed on a daily basis. You have the right to have access to these care plans and daily record sheets at any time. Please understand that your care/support worker will need to notify the office of any changes in your condition, or any accidents that you may have had to ensure that we can maintain the best support options possible for you.